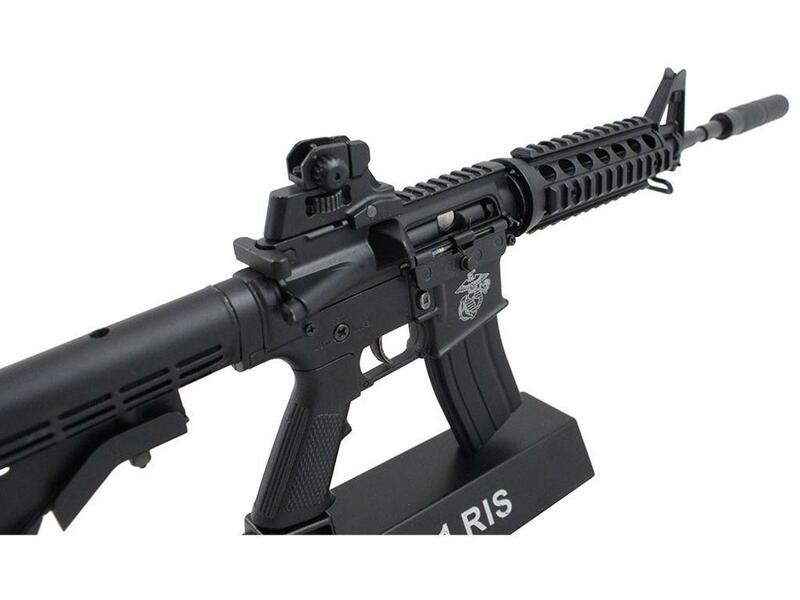 M4A1 RIS 1:4 Scale Model Rifle Display | ReplicaAirguns.ca | Easter Weekend Sale! 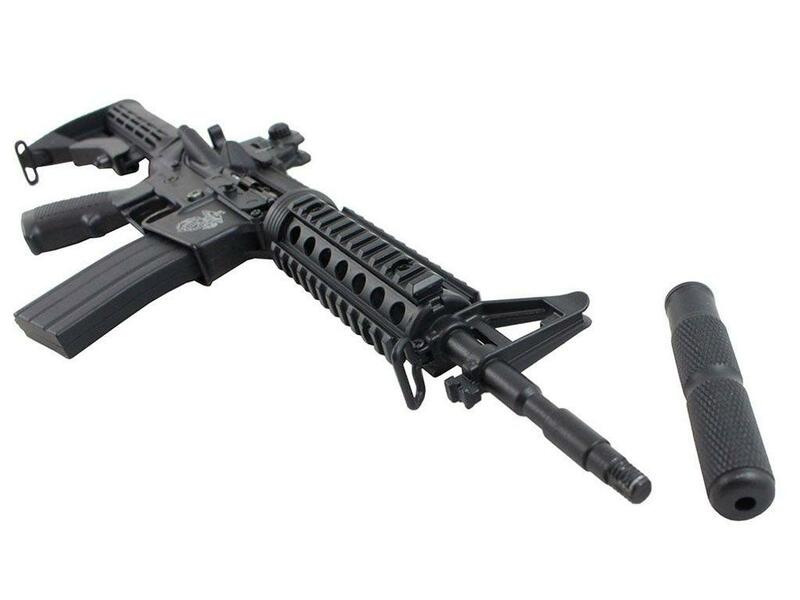 The M4 line of weapons served in every conflict since the Vietnam War. 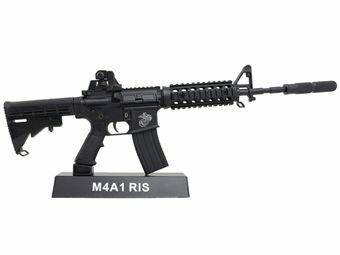 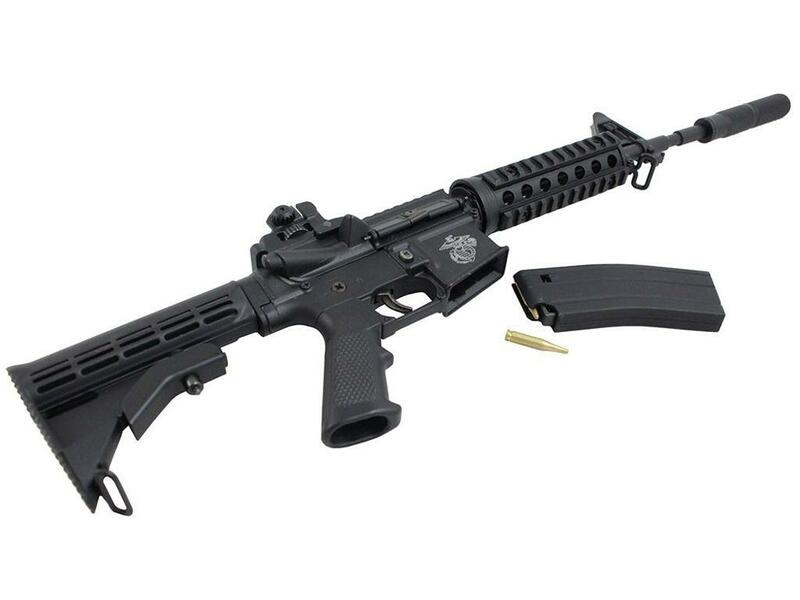 The M4 has proven popular among soldiers because of its compact size, which is helpful in close-quarter firefights and allows for smooth movement in combat zones. 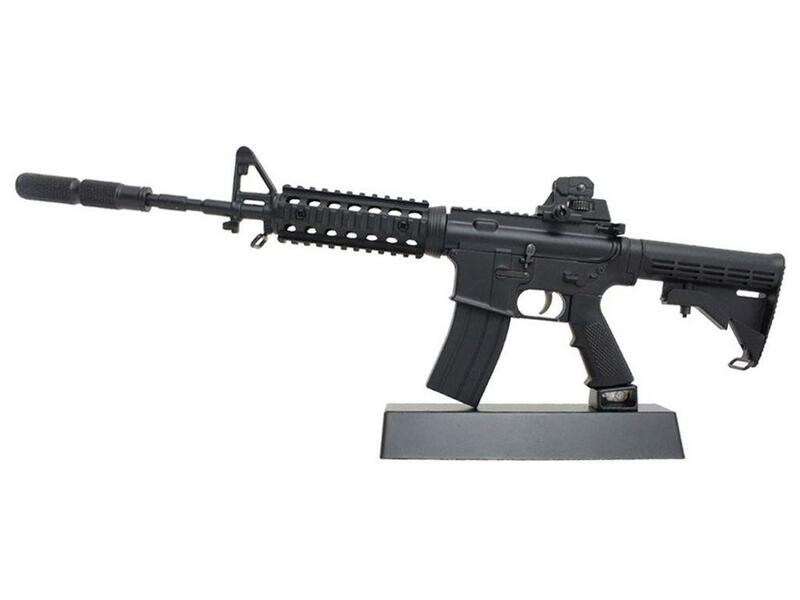 This Non-firing 1:4 Scale, Die Cast model will look great on a desk or displayed proudly on a shelf.